There are many engine components that need to run properly, one of which being the serpentine belt in your Aston Martin Rapide S. Although it’s durable, it still requires regular attention. The best way to ensure it is running smoothly is with regular checks from the Service Department here at Hi Tech Luxury Imports near China Spring, TX 76633. The serpentine belt within your Aston Martin Rapide S controls systems like your alternator and water pump. General wear and tear can happen over time, which can lead to your engine running sluggish and overheating, which can also result in poor gas mileage. 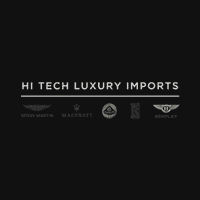 When you have it checked by the expertly trained service team here at Hi Tech Luxury Imports near China Spring, TX 76633 you can be sure that your system is running the way it should be. If you frequently drive in a cold climate, your serpentine belt has a greater chance of breaking, since it goes from cold to warm quickly. If this is the case, you should get it checked regularly, so schedule an appointment to have our staff take a look. Here at Hi Tech Luxury Imports near China Spring, TX 76633 our service team will thoroughly inspect your serpentine belt to make sure it’s preforming the way it should. This entails checking to see if it is cracked, frayed, or in danger of snapping. We also will also make sure no water or oil is getting on it, which can make it deteriorate faster. Since our service staff is qualified to check all areas of your Aston Martin Rapide S’s engine, you can be sure they know exactly the signs to look for. Since your serpentine belt is easy to maintain, as well as replace, it won’t take long for our service technicians to make sure it is running how it should. And because there is no need to remove multiple belts or engine components to replace one of them, you will be back on the road in no time. Bring your Aston Martin Rapide S to the Service Department at Hi Tech Luxury Imports near China Spring, TX 76633 and you’ll get a quality inspection regarding your serpentine belt. If it needs to be replaced, your vehicle will be outfitted with one at a price that fits within your budget. You’ll leave our dealership knowing every engine component is operating the way it should be. Visit us today to experience superior customer service!